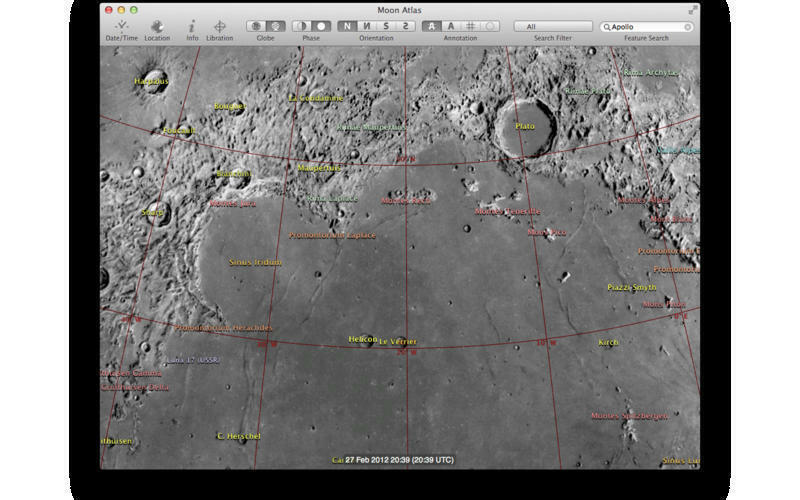 Is there a better alternative to Moon Atlas? Is Moon Atlas really the best app in Reference category? 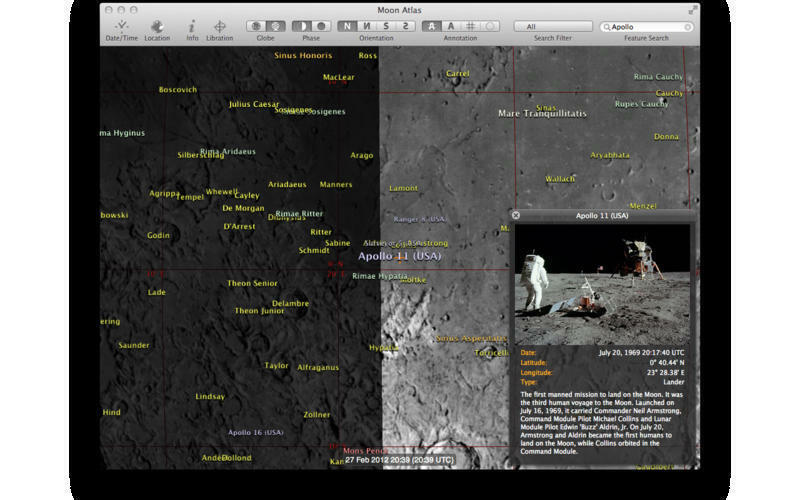 Will Moon Atlas work good on macOS 10.13.4? 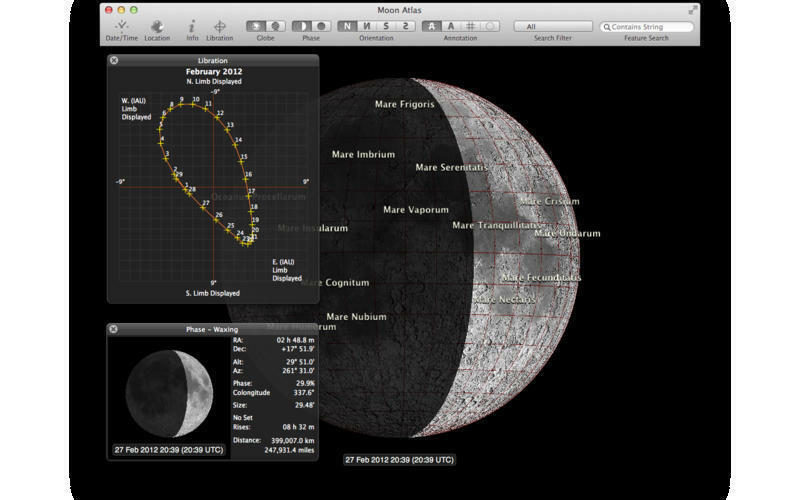 Moon Atlas lets you explore a 3D globe of the Moon, using the mouse or pinch- and finger-gestures to manipulate it. This is a rendered sphere and not a static map image. As you zoom in, more labels appear as finer detail comes into view. You can double-tap on the labels to get more information about a particular feature. Moon Atlas needs a rating. Be the first to rate this app and get the discussion started! 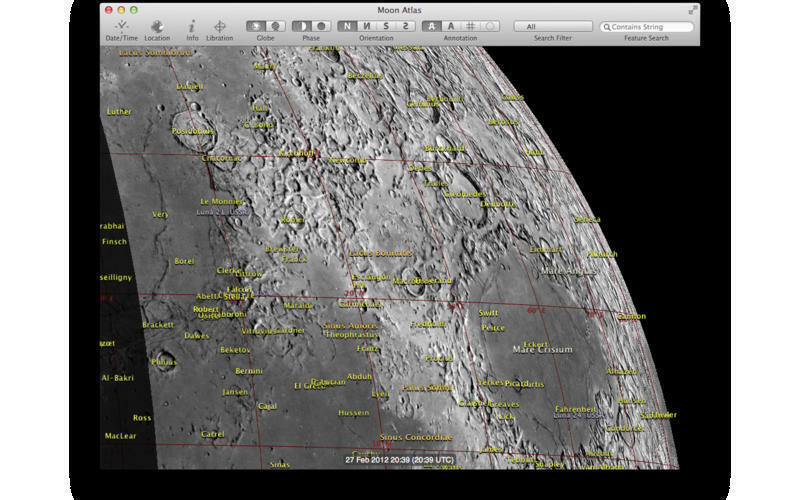 Moon Atlas displays the phase and libration of the Moon from your chosen location, and renders these on the globe. You can switch to a 'Globe' mode that allows you to spin the Moon around to see far side features. The feature database is searchable and can move the globe to a searched feature. The phase can be switched off, and the far side is shown in a slightly darker shade of grey. Date, time, and location can be changed. There is also a realtime mode that will update to the current time. 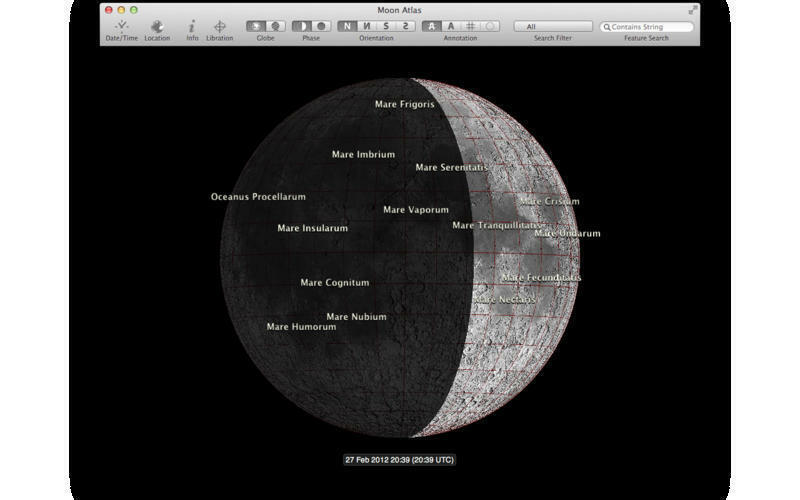 The Moon globe can be shown with north or south at the top or inverted to suit different telescope views.